﻿ Shred Assured Palm Beach Florida Secure Mobile On Site and Off Site Document Destruction and Paper Shredding Service - Questions and Answers. The foll owing are the questions we’ve been asked the the most, and our answers to them. For more information, please click here, or contact us at 1-800-838-3840, to find out how ShredAssured can help you or your company save money, protect its information, and comply with federal and state laws. Our client specialists are ready to assist and willing to help in any way they can. Our business hours are from Monday - Friday, 8:00 a.m. to 5:00 p.m. We are also available Saturday by appointment only. 1.) How does the process with ShredAssured work? 2.) How long does it take to schedule shredding? 3.) Can ShredAssured ensure the security of our documents? 4.) How large are the containers? 5.) Are your containers lockable? 6.) What happens if our container is full before the regularly scheduled service time? 7.) We don’t have anything that’s very confidential, why would we need ShredAssured? 8.) What are the benefits of On-Site shredding versus Off-Site shredding? 9.) Why use ShredAssured instead of just recycling? 10.) Why should I use ShredAssured instead of just buying my own shredder? 11.) What materials do you shred? 12.) How long should I keep my records before disposing of them? 13.) We have files stored to be shredded, but need to sort through them. Do you have any containers that we can use? 14.) Do you take the shredded paper away? 15.) What does ShredAssured do with its shredded paper? 16.) Can I keep my boxes? 17.) How does ShredAssured charge for its services? 18.) Do we need to pay upon completion or will you send a bill? 19.) What areas do you service? 20.) Do you have a Drop-Off facility where I can watch you destroy my materials? • How does the process with ShredAssured work? We will work with your staff to determine the shredding frequency and collection times that best suit your needs. Then we provide you with as many security containers as you may need at no charge. At the appointed time, a mobile unit comes to you, and the documents to be shredded are discretely removed and destroyed by our trained technicians on your premises. On-Site mobile shredding allows you to watch the process if you like. Upon completion, you are issued A Certificate of Destruction certifying the time and date your materials were destroyed. We then transport it to a secure recycling facility where it is remanufactured into new paper products. ShredAssured also offers Off-Site shredding as an economical alternative for clients that do not require destruction done at their location. A licensed, bonded and specially insured security officer will pick your materials up without interfering with your daily operations. No need to remove paper clips, staples, binder clips or other fasteners. We shred everything. The materials are destroyed beyond recognition, reconstruction and readability at our secure warehouse under strictly controlled conditions. Security cameras monitor the process and you are welcome to come by and witness the destruction first hand. Upon completion, you are issued A Certificate of Destruction certifying the time and date your materials were destroyed. The obliterated material is then baled then transported to a secure recycling facility where it is remanufactured into new paper products. • How long does it take to schedule shredding? We offer 24 hour service response depending on when you call and your location. We also offer the convenience of after business hours and weekend services. Call 1-800-838-3840 for a schedule to meet your specific needs. • Can ShredAssured ensure the security of our documents? Our philosophy is “security above all else”, which creates a real difference that most of our competitors can’t match. ShredAssured offers bonded, insured, shredding services performed with the highest level of security standards in the industry. Our customers rely on us for unquestioned security - and we deliver. ShredAssured upholds the highest quality document and material destruction techniques to ensure your confidentiality. 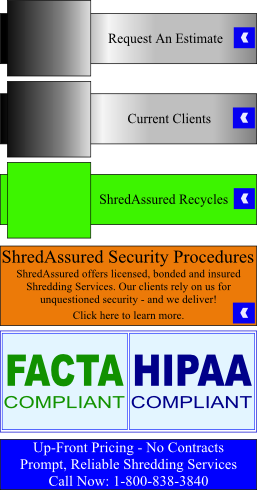 ShredAssured is a National Association for Information Destruction (NAID) member. 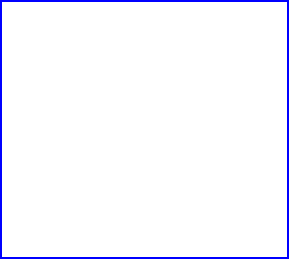 This means ShredAssured adheres to the highest security standards in the information destruction industry. • How large are the containers? We offer security containers in a variety of sizes to meet every need. • Are your containers lockable? Most definitely. Locking containers are highly recommended. However, if you prefer, we can provide you with containers without locks to meet your specific needs. • What happens if our container is full before the regularly scheduled service time? Just call us and we will come out early. For your convenience and with your approval, we can also readjust your schedule or drop off additional security containers as necessary. • We don’t have anything that’s very confidential, why would we need ShredAssured? All businesses have occasion to discard confidential data. Customer lists, price lists, sales statistics, drafts of bids, correspondence, and even memos contain information about business activity which would interest any competitor. Every business is also entrusted with information that must be kept private. Employees and customers have the legal right to have this data protected. If your company has 5 employees or more, you will not only have discarded materials for periodic file purges, you will also be producing incidental paperwork on a daily basis that need to be properly destroyed. • What are the benefits of On-Site shredding versus Off-Site shredding? This is the one of the most common question we are asked. On-Site or Off-Site is a decision you must make. It usually depends on your comfort level or your specific compliance regulations. There are advantages to either service. • The primary advantage to On-Site shredding is that it is more convenient to observe the shredding process. This allows you to physically witness your material being destroyed. • Off-Site Shredding is every bit as secure as On-Site. Many large companies including banks and hospitals, where parking is at a premium, insist that their materials be shredded Off-Site. The primary advantage to this method is the lower cost. • Why use ShredAssured instead of just recycling? For security. Recycling services are not designed to provide security. Recycling services mostly use open collection containers which are accessible to anyone; staff, janitors, etc. Generally, the employees of recycling service companies are not security screened personnel. Your confidential documents are transported by truck in whole form to a facility for processing and sorting before shredding. It is then taken to and stored at unsecured warehouses, which are accessible to the public, and the paper is sorted for grade. The courts have ruled that once you place your material into the trash can, recycling receptacle, or dumpster, you lose all privacy rights to that information, no matter how sensitive or proprietary it is. The laws on public domain protect the people taking the information - NOT YOU! You may even be held liable for negligence if the discarded material does harm to someone. Eliminate the risk. Shred your confidential documents with ShredAssured. With the development of the Health Information Portability and Accountability Act of 1996 (HIPAA) and the Gramm-Leach-Bliley Act of 1999 (also known as the Financial Services Modernization Act), shredding of documents has become the recommended method for the handling of sensitive documentation. • Why should I use ShredAssured instead of just buying my own shredder? Money! It will cost you 3 to 5 times more to shred in-house than to have a shredding service. Amortization of a shredder, staff time, square footage for the operation, maintenance, power costs and disposal costs all add up to much more than we charge - and we do all of the work! In 15 minutes we can destroy what it would take an office shredder days to do. 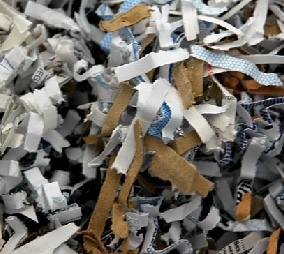 In-house shredding will not handle large volumes and may prompt employees to circumvent the destruction process. • What materials do you shred? We will shred any color or type of paper, including file folders, computer printouts, brochures, flyers, bound reports, coupons, printing mistakes, over-runs, tapes, floppy discs, CDs, DVDs, microfilm, microfiche, X-rays, Mylar and other forms of confidential and proprietary material. There is no need to remove paper clips, staples, or rubber bands. We are first and foremost a security shredding company, not a recycler who has decided to be in the shredding business, however we recycle all shredded waste that is recyclable. • How long should I keep my records before disposing of them? Different types of records need to be retained for different time periods. The time documents should be kept depends on appropriate laws, IRS and governmental regulations and third-party requirements. 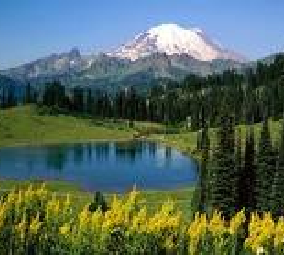 • We have files stored to be shredded, but need to sort through them. Do you have any containers that we can use? We can drop off as many security containers as you think you will need, free of charge, for you to use to sort your files. • Do you take the shredded paper away? Yes, after it is shredded and compacted in our trucks, it is taken back to our warehouse where it is baled. • What does ShredAssured do with its shredded paper? We bring all shredded paper to a secure recycling facility where it is remanufactured into new paper products. • Can I keep my boxes? Yes, you can keep your boxes to reuse, or we’ll take them away, at no charge, to be recycled. • How does ShredAssured charge for its services? The fee for any of our Security Container Services is fixed based on the size of the container. There is no charge for container use, for travel time, nor are there per minute charges when we shred. Purge Services and Residential Shredding are typically charged by the box or per pound. It is best to have a representative come out to evaluate your needs and provide you with an accurate quote. • Do we need to pay upon completion or will you send a bill? For Scheduled Services, which ever is more convenient for you. For Purge Services, On-Call Services, Drop-Off and Residential Shredding, we prefer payment upon completion. With prior authorization we may elect to bill you. We accept checks or cash as payment. • What areas do you service? ShredAssured provides Confidential Document Destruction and Paper Shredding Services to clients throughout South Florida including St. Lucie, Martin, Palm Beach, Broward, Miami-Dade, Monroe, Collier, Lee, Hendry, Charlotte and Glades Counties. We also have a network of secure service providers that we work with who can service other areas in the state of Florida and throughout the United States, with centralized billing through us, if desired. • Do you have a Drop-Off facility where I can watch you destroy my materials? Yes we do. Unlike most South Florida Destruction Companies, ShredAssured is a Full Service Facility with a Dedicated Plant Based Shredder. We invite you to stop by and witness the destruction of your confidential materials. We also destroy computers, electronic media and defective or obsolete products including retired uniforms and pill bottles. Best of all, it is more economical to you, saving you money in the process. It usually takes just a few minutes to witness the destruction of your confidential materials first hand. We can also provide you with a Certificate of Destruction at your request. For more information, please click here, or contact us at 1-800-838-3840, to find out how ShredAssured can help you or your company save money, protect its information, and comply with federal and state laws. Our client specialists are ready to assist and willing to help in any way they can. Our business hours are from Monday - Friday, 8:00 a.m. to 5:00 p.m. We are also available after regular business hours and on Saturday by appointment only.